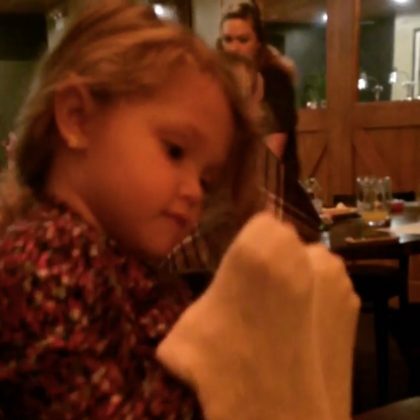 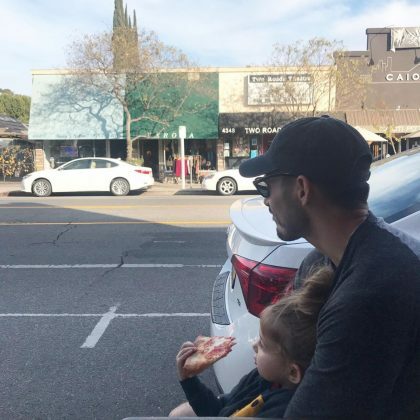 Haylie Duff had a “Family pizza outing” at Studio City, CA, USA’s LBK LA pizza restaurant in November 2018. 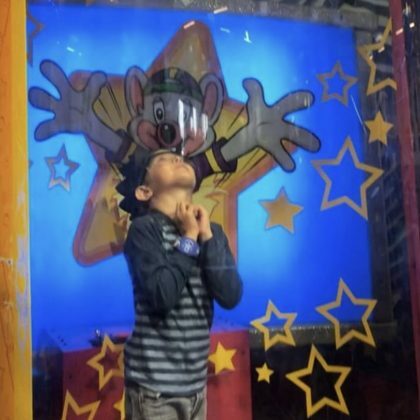 Chuck E. Cheese's, Los Angeles, 2700 Colorado Blvd. 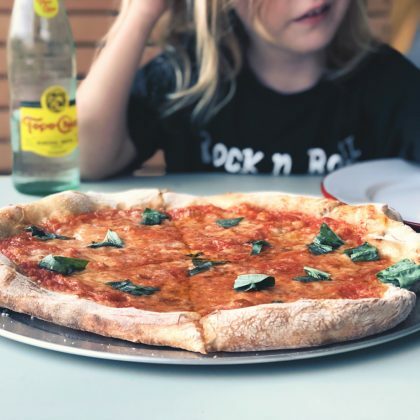 Tiffani Thiessen made a “Quick stop for lunch” in October 2018 at Rhinebeck, NY, USA’s Pizzeria Posto. 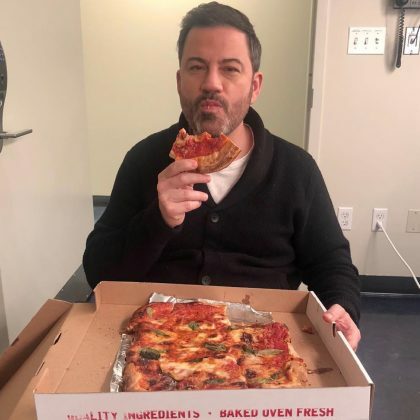 “Brooklyn is trying to kill me” is what Jimmy Kimmel joked while eating pizza from New York City, NY, USA’s Di Fara Pizza in October 2018. 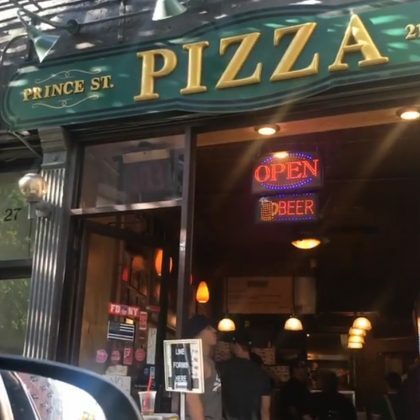 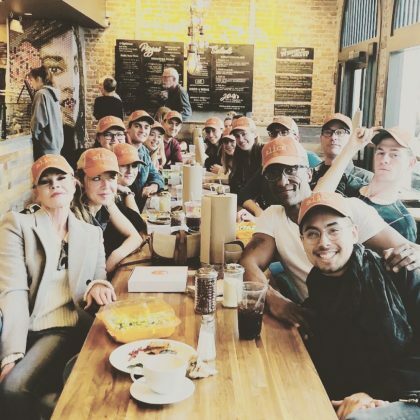 Tom Felton went “Pizza slice hunting” at New York City, NY, USA’s Big Slice Pizza of NY in October 2018. 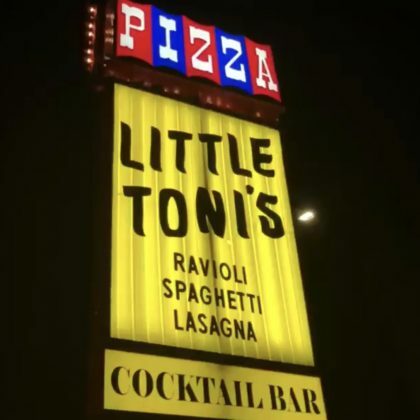 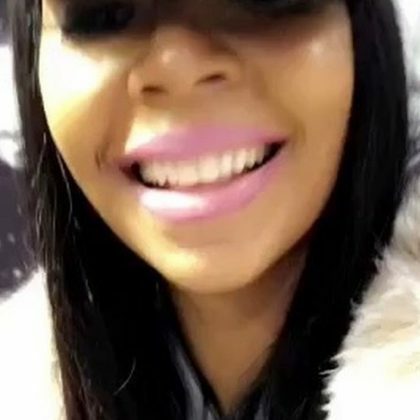 Rico Rodriguez posted about North Hollywood, CA, USA’s Little Toni’s pizza restaurant in September 2018. 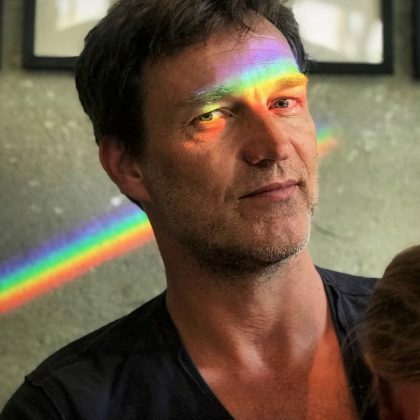 Stephen Moyer ate “One of the best brunches I think I’ve ever had” while with his eldest daughter at Santa Monica, CA, USA’s Milo & Olive in September 2018. 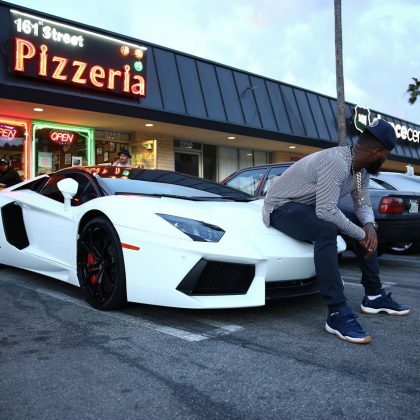 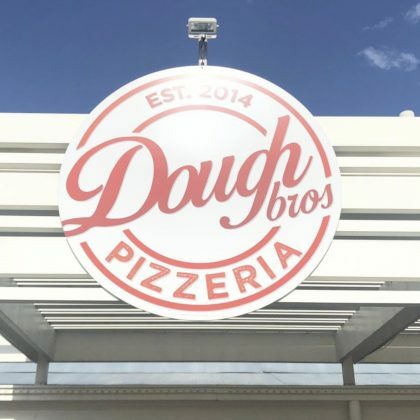 Bow Wow went for pizza at Chicago, IL, USA’s Dough Bros Pizzeria & Sub Shop in September 2018. 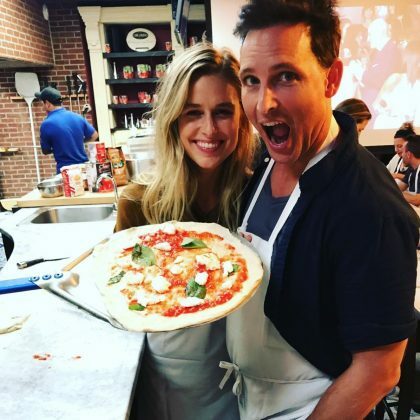 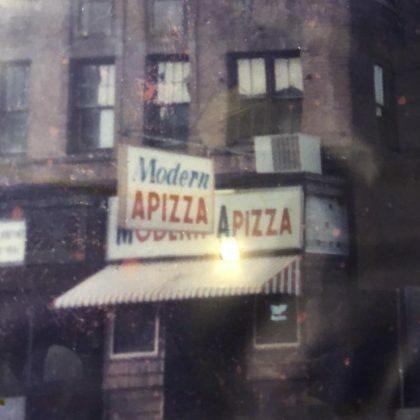 David Arquette ordered a pepperoni and sausage-topped pizza from New Haven, CT, USA’s Modern Apizza in September 2018. 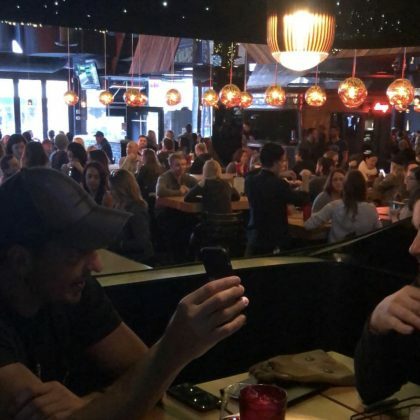 Shane West dined on wings, fries, and “#froze” when he ate at Los Angeles, CA, USA’s Elbow Room in September 2018. 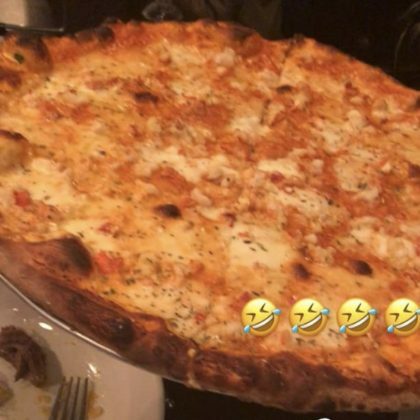 Sofia Vergara shared some cheese pizza with Joe Manganiello when they ate at Pittsburgh, PA, USA’s Fiori’s Pizzaria in August 2018. 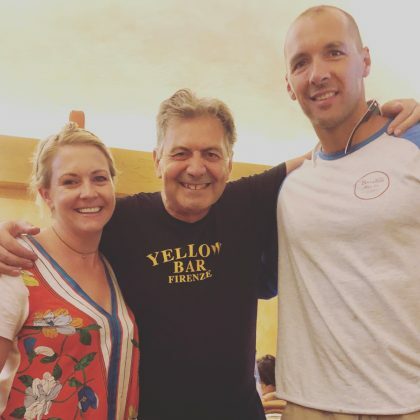 Alec Baldwin ate at Sag Harbor, NY, USA’s Sag Pizza in August 2018. 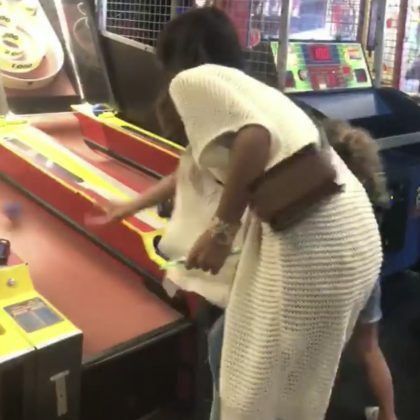 Bethenny Frankel played skee-ball and posed for silly photos with her daughter at Chuck E. Cheese’s, Hicksville, NY in July 2018. 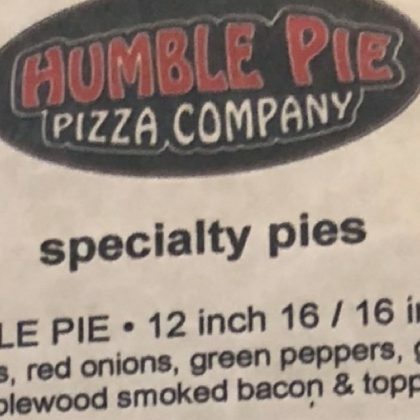 Kim Zolciak called Alpharetta, GA, USA’s Humble Pie Pizza Company “My new obsession” in July 2018. 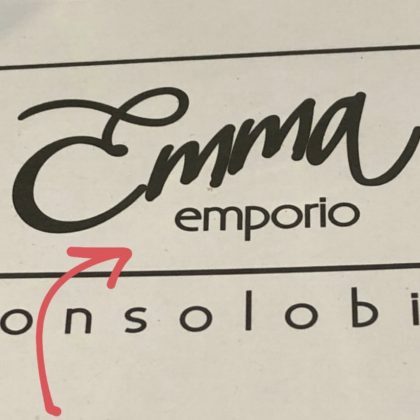 Giada De Laurentiis called Rome, Italy’s Emma “very good” when she ate here in June 2018. 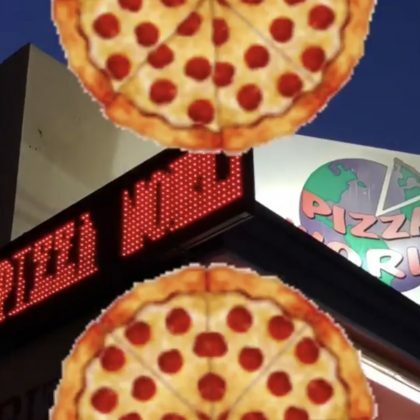 Halsey made “That face when u said 1 bite but u know u finna eat the whole thing” when she joined G-Eazy for pizza at Berkeley, CA, USA’s Fat Slice Pizza in June 2018 — she went for plain cheese, he had pepperoni. 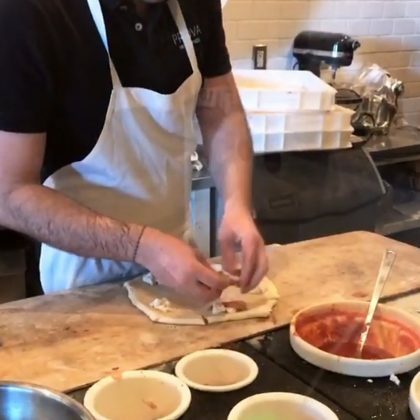 Kendall Jenner stopped by Los Angeles, CA, USA’s Pizza World in June 2018. 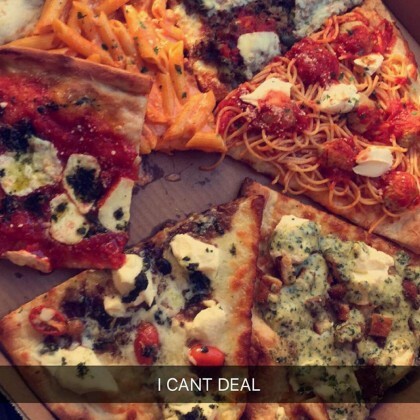 “Can we talk about this pizza? 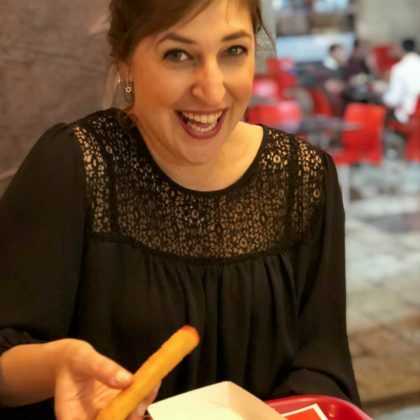 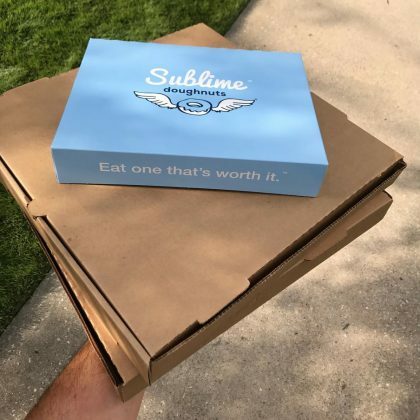 !” is what Molly Sims asked about the ones she ordered from The Urban Oven for her daughter’s birthday party in March 2018. 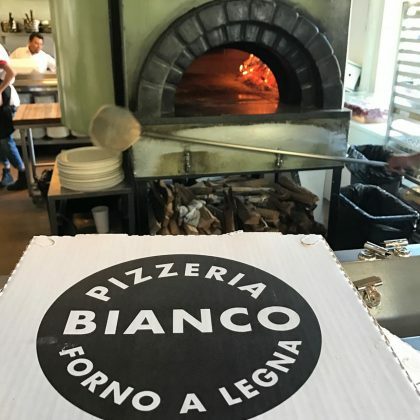 Bijou Phillips ate at the “#YUMMY” Industrial Eats pizza restaurant in Buellton, CA, USA in March 2018. 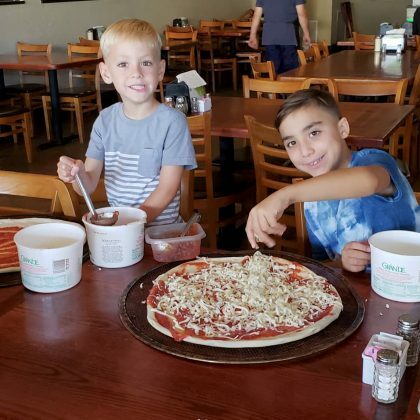 Giuliana Rancic, Bill Rancic, and their son Duke Rancic topped off their March 2018 “PIZZA NIGHT” at Chicago, IL, USA’s Happy Camper Pizzeria with a Rice Krispy ice cream sandwich — Giuliana said it was “a delish and fun night” eating inside the restaurant’s camper! 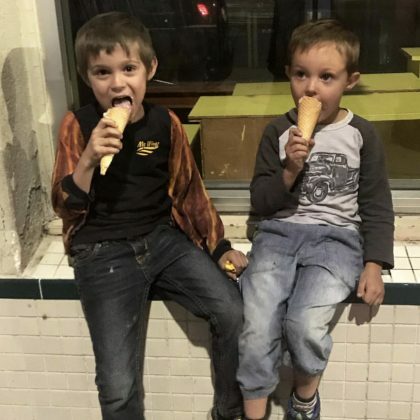 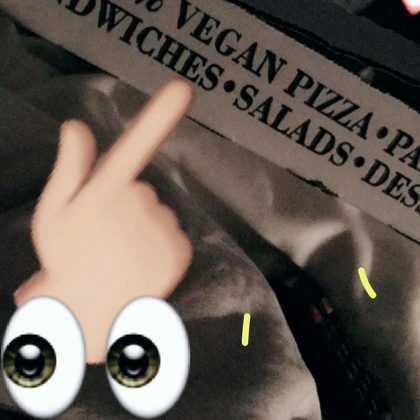 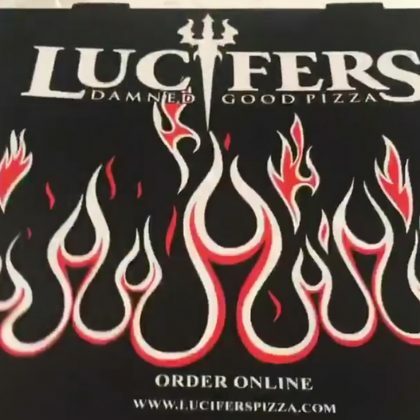 Paris Jackson satisfied her “3am munchies” in March 2018 with pizza from D’Amore’s Pizza, West Los Angeles. 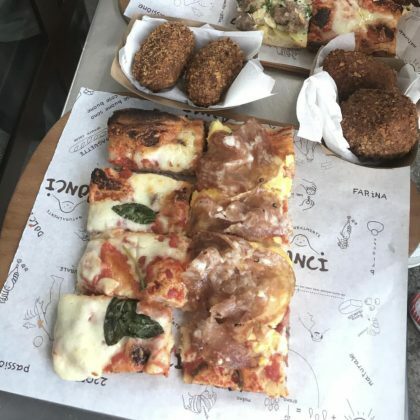 While honeymooning in Milan, Italy in March 2018, Amy Schumer gave a shoutout to pizza restaurant Gino Sorbillo. 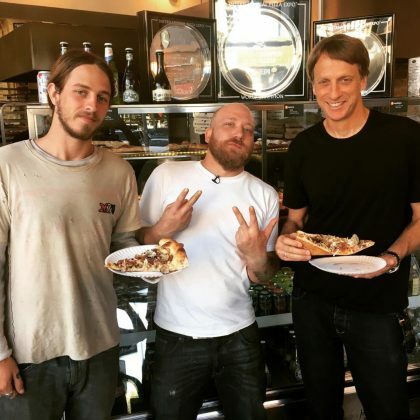 Melanie Griffith ate at Laguna Beach, CA, USA’s Slice Pizza and Beer in February 2018. 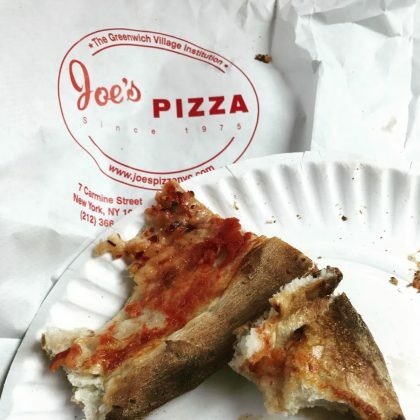 Catherine Giudici ate some pizza from Savannah, GA, USA’s Vinnie Van Go-Go’s in February 2018. 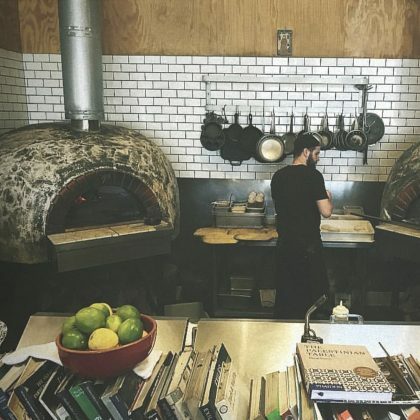 Mandy Moore served friends some pizzas from Los Angeles, CA, USA’s Triple Beam Pizza in February 2018. 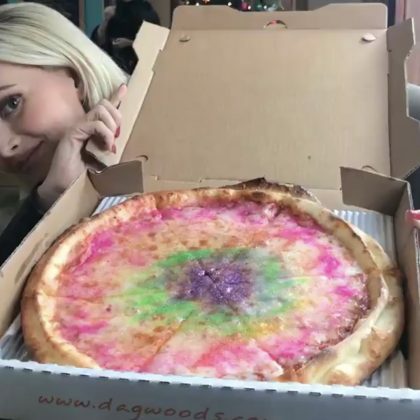 Holly Madison ordered Dagwoods’s “Rainbow glitter pizza” — named the #MagicalAF pizza on the menu — in December 2017. 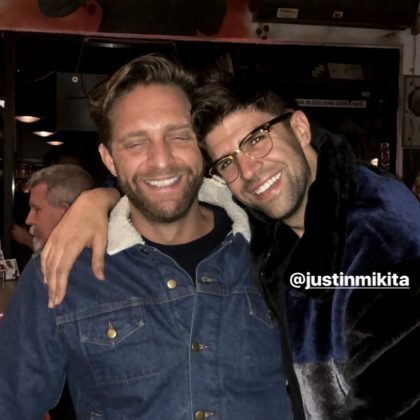 Jesse Tyler Ferguson snapped a pic of Justin Mikita and their friend while hanging at Garage Pizza, Silverlake in December 2017. 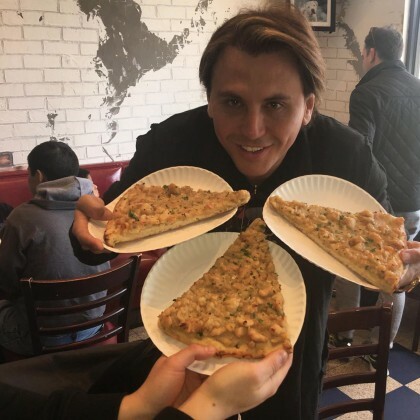 Jonathan Cheban grabbed a slice at Pranzarelli’s Pizza in December 2017. 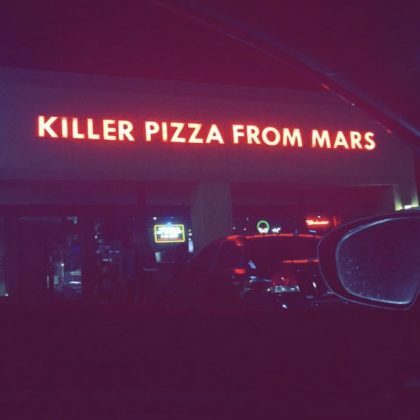 Tori Kelly stopped by Killer Pizza From Mars, Escondido in December 2017. 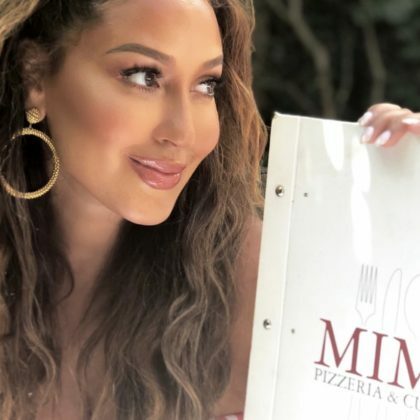 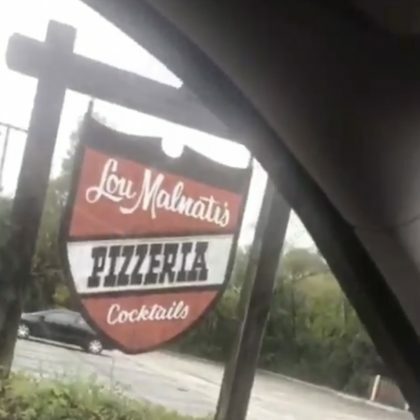 La La Anthony had a meal at Nobodys Pizza in November 2017. 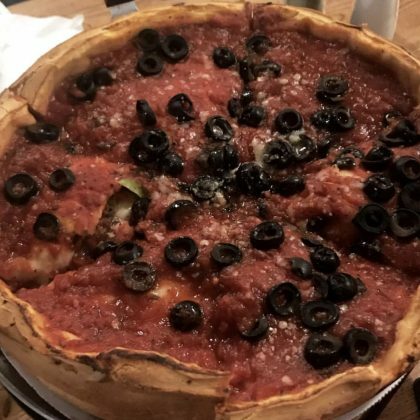 “When in Chicago…” is what Monique Coleman said when she ordered an olive-topped deep dish pizza at Giordano’s, Gold Coast/Magnificent Mile in November 2017. 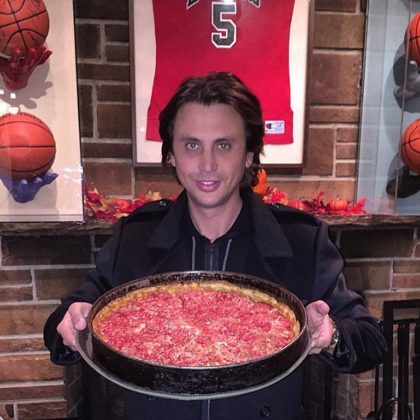 Jonathan Cheban grubbed on some deep dish pizza at Lou Malnati’s Pizzeria, Buffalo Grove in October 2017. 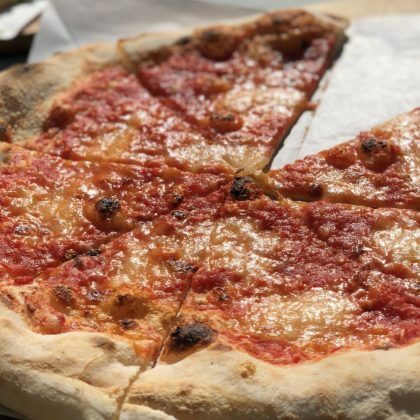 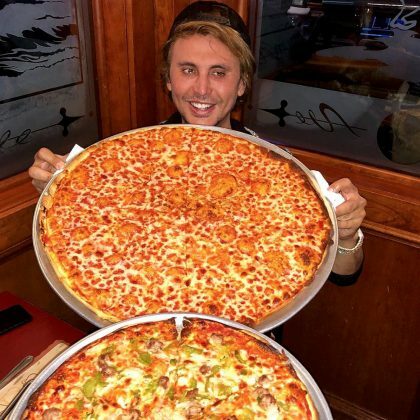 “When you need 2 plates for the oversized [pizza] slice!” is what Jonathan Cheban said when he ordered a piece of cheese pizza at Benny Tudino’s in October 2017. 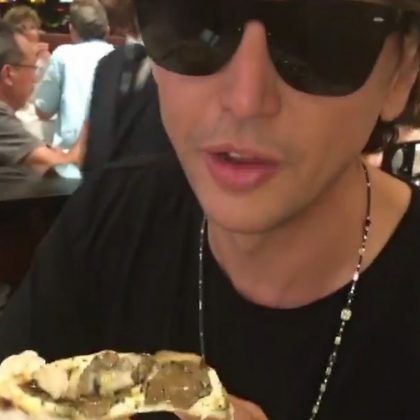 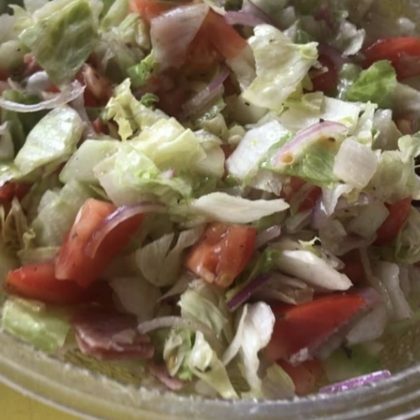 Jonathan Cheban tried a salad at Fort Lee Pizza in October 2017. 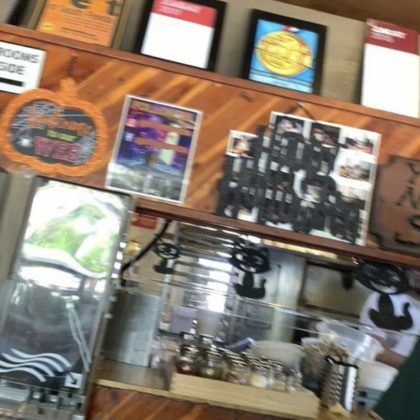 Jordana Brewster was “Beating the heat” at Vito’s Pizza in September 2017. 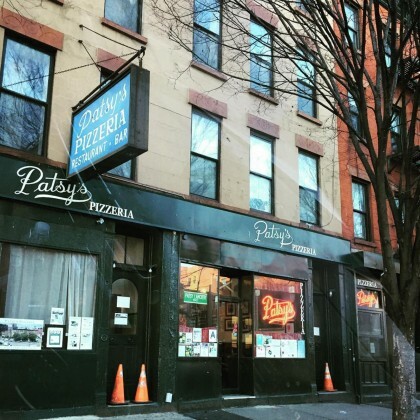 Holly Robinson Peete gave a shoutout to Artichoke Basille’s Pizza, Greenwich Village in August 2017. 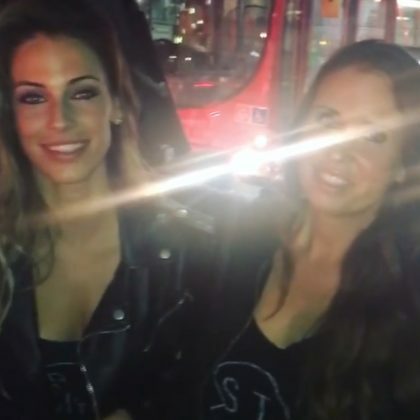 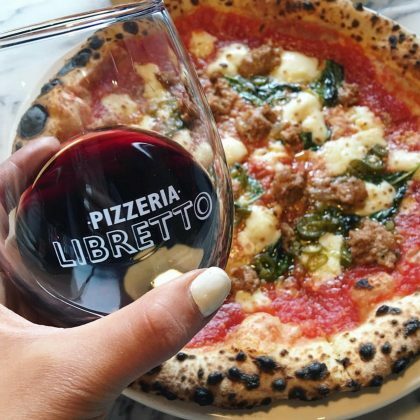 Jessica Lowndes checked in at this Italian and pizza restaurant in August 2017. 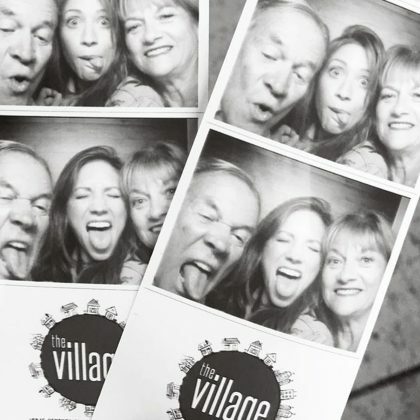 Brittany Snow captured some “Family faces” in the photo booth at The Village when she ate here in August 2017. 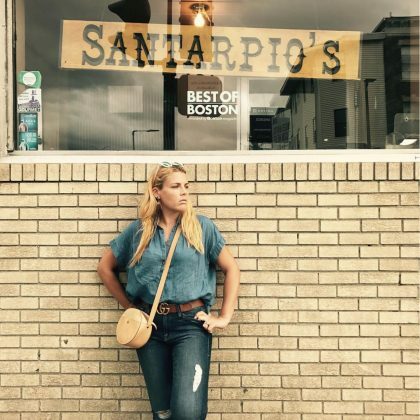 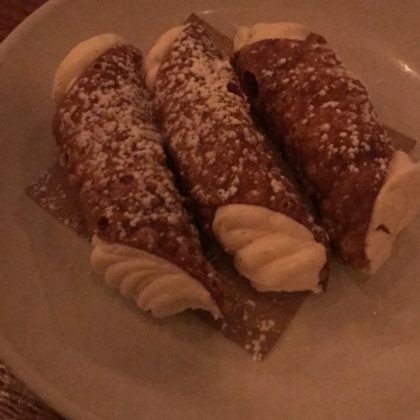 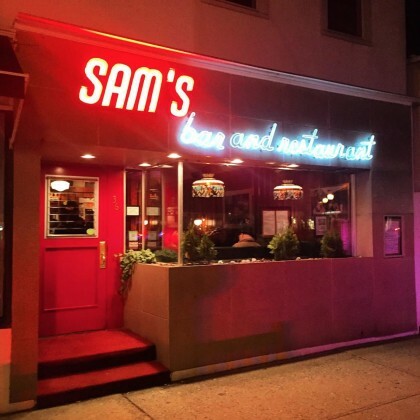 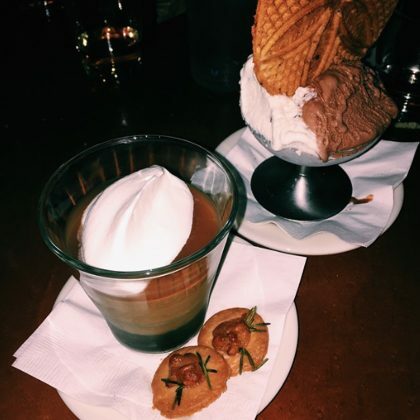 “Legit my fav pizza” was the big endorsement Busy Philipps gave Rubirosa Ristorante when she ate here in July 2017 and added, “I told you I do not fucj around when it comes to CANNOLI” ($9). 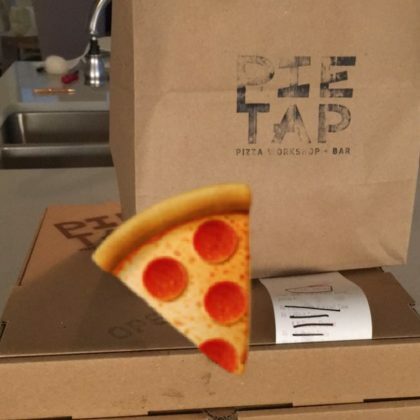 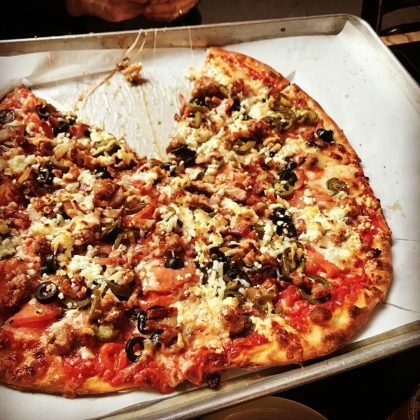 Catherine Giudici had pizza delivered in July 2017 from one of the Pie Tap Pizza Workshop locations in Dallas. 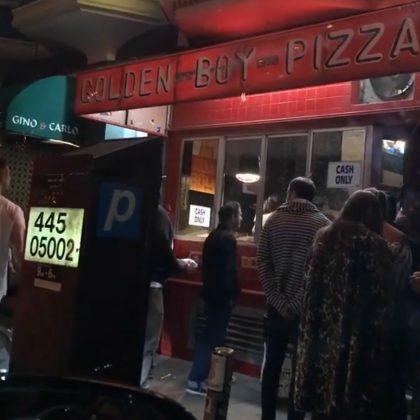 Jonathan Cheban picked up some late-night slices of Golden Boy Pizza in July 2017 — FYI, he ordered cheese. 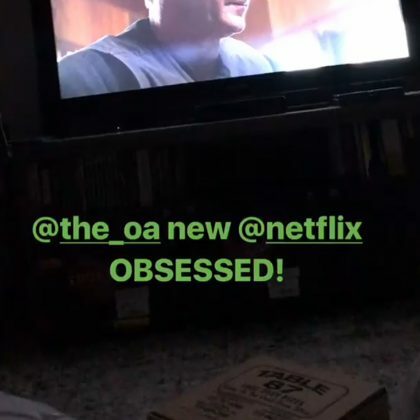 While watching Netflix in July 2017, Ashley Graham had a Table 87 Coal Oven Pizza box in front of her. 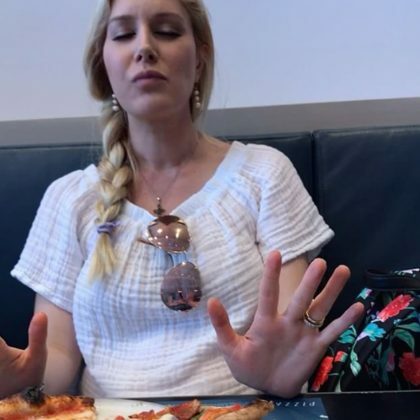 An expectant Heidi Pratt said she was “Living the dream” when she bit into a slice of pepperoni pizza from Gina’s Pizza, South Laguna Beach in July 2017 — Spencer Pratt was also along for the meal. 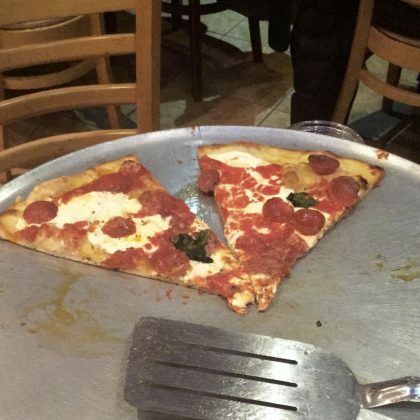 G-Eazy’s table at ZOLA was covered with a couple of pizzas and a glass of wine when he was here in July 2017. 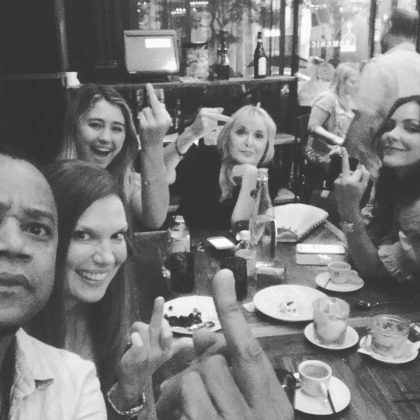 Katharine McPhee and Cuba Gooding Jr. came to Domenica for some food with friends in June 2017. 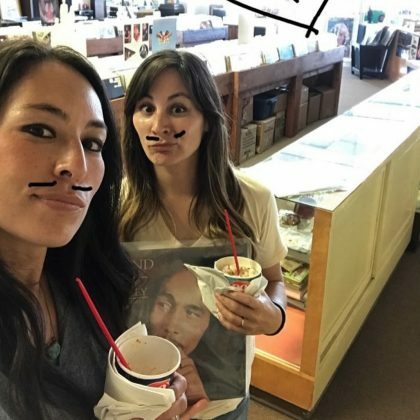 “Shorty’s Pizza Shack, butterfinger blizzards, and shopping for old vinyls… that’s a good night out with the sis” is what Joanna Gaines said about her evening out in June 2017. 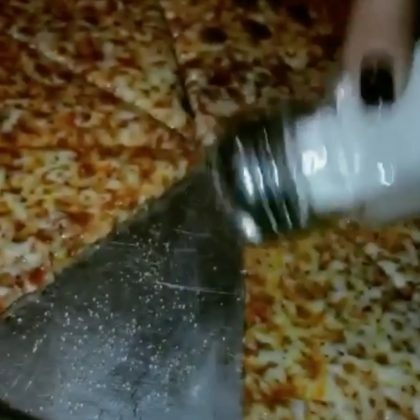 “Yes! 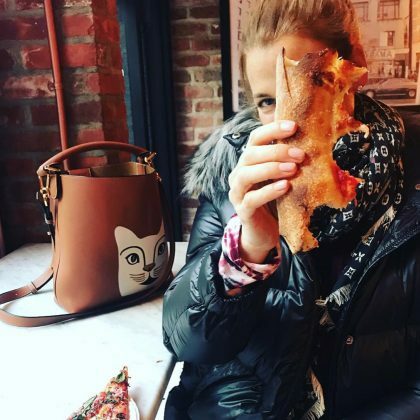 Pregnant lady’s dream!” is how Heidi Pratt described the pepperoni pie she (may or may not have) shared with Spencer Pratt at Pizzana in June 2017. 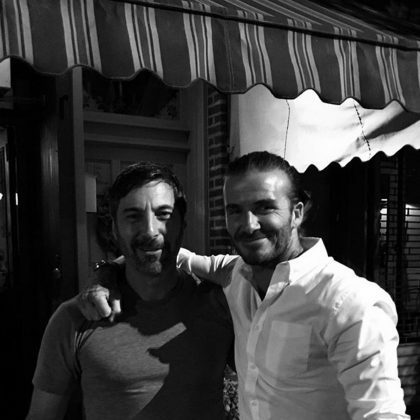 David Beckham’s “Wow”-worthy meal here in June 2017 included “1989 Mouton” cheese, a meatball, pizza, “Lobster tails,” a bowl of cherries, and lots of wine. 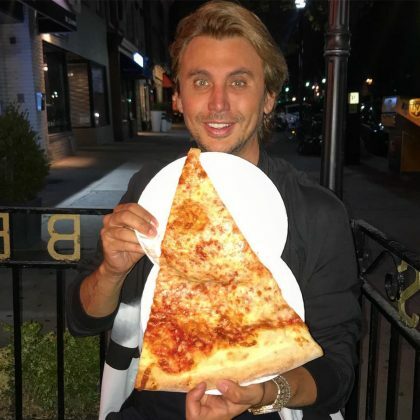 Jonathan Cheban was “just waitin’ for my pie” when he waited in the car for his pepperoni pizza from Prince Street in June 2017. 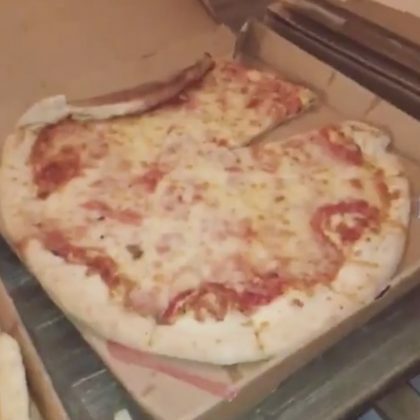 Stella McCartney served Homeslice Pizza at her Autumn/Winter menswear launch in June 2017. 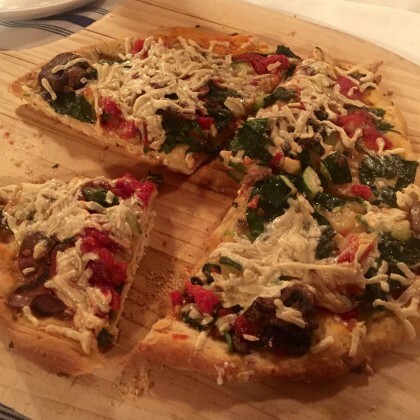 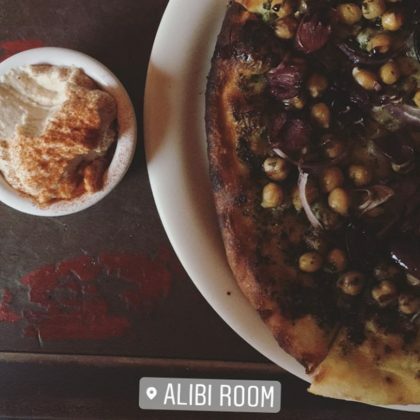 Catherine Giudici﻿ ordered a “Vegan pizza” when she ate at Alibi Room in June 2017. 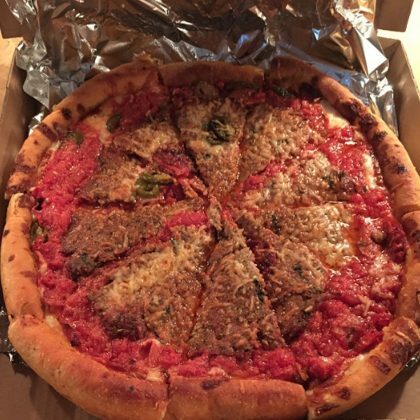 Jonathan Cheban ﻿dug into some “Deep Dish” pizza at this Lou Malnati’s location in May 2017. 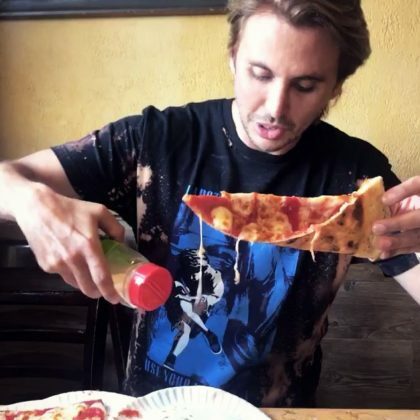 Jonathan Cheban﻿ bit into a slice of cheese at Mulberry Street Pizzeria, 347 N. Canon Drive in May 2017. 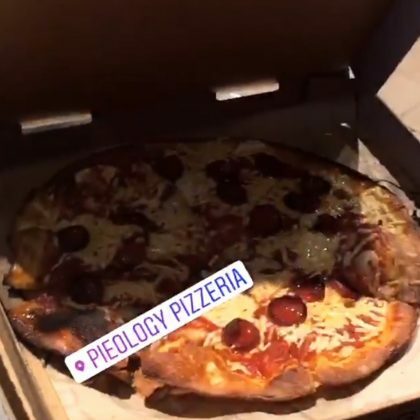 Holly Robinson Peete picked up several pizzas and a salad at Pieology Pizzeria, Rancho Mirage, CA in April 2017. 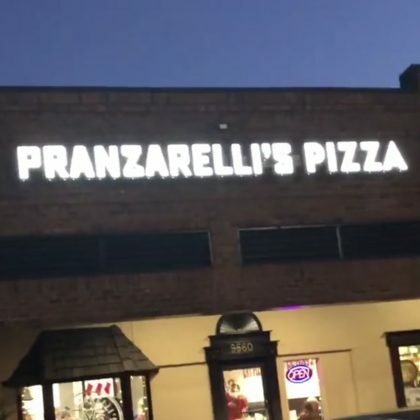 Monique Coleman showed off her multiple-topping deep dish pizza from this Lou Malnati’s location in March 2017. 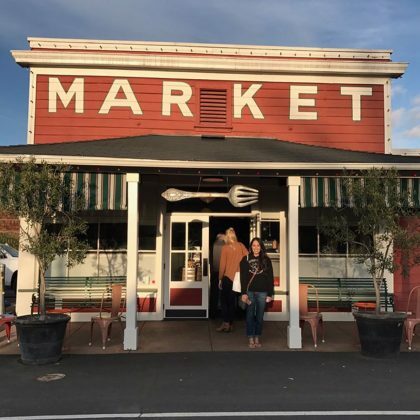 Joanna Gaines﻿ made a stop at Ciccio during “a quick trip” to California in February 2017. 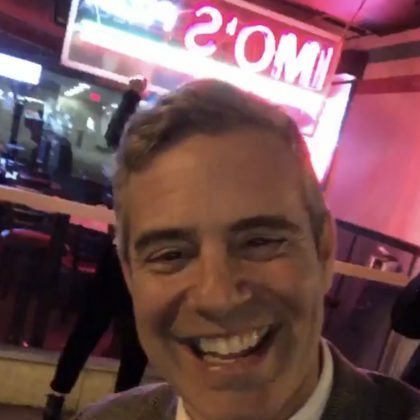 “Back in Nashville and it feels goooooood” is what Colbie Caillat said about being at Two Boots, Nashville, TN with her “faves” in February 2017. 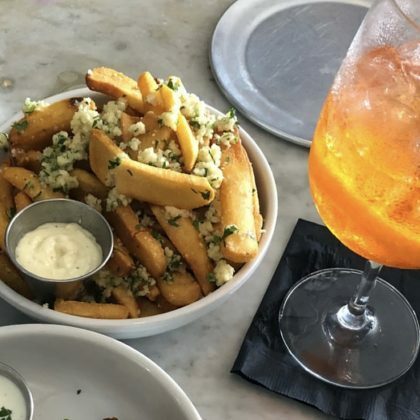 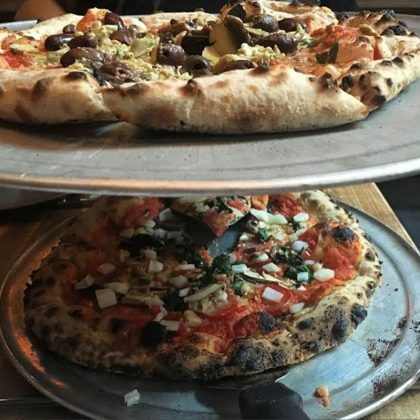 Ashley Graham﻿ bit into a slice at Fabbrica Pizzeria in February 2017 and said it was the “Best PIZZA EVER!” She also ordered a caprese salad. 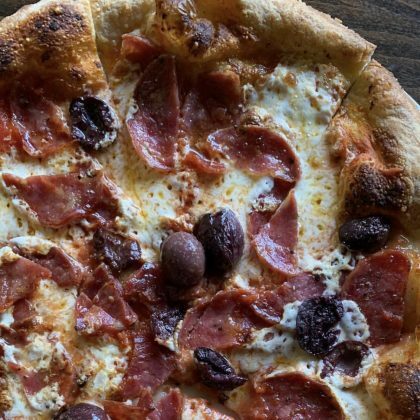 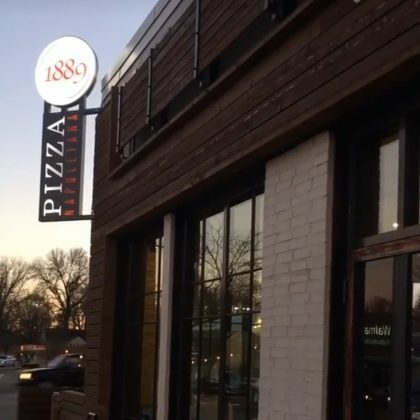 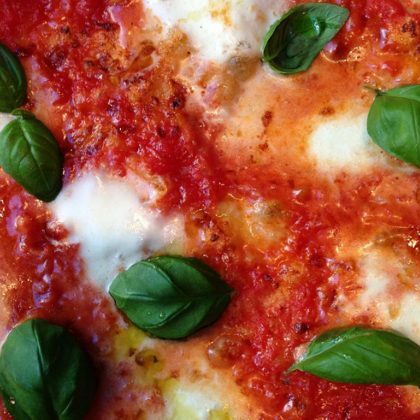 Lauren Parsekian recommended ﻿1889 Pizza Napoletana after her February 2017 visit. 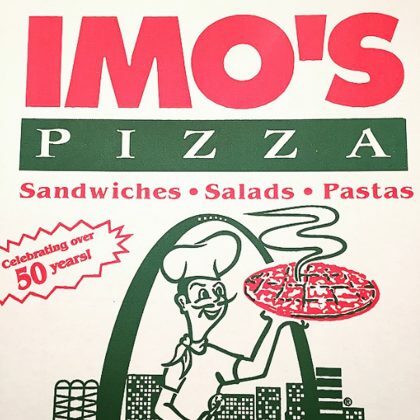 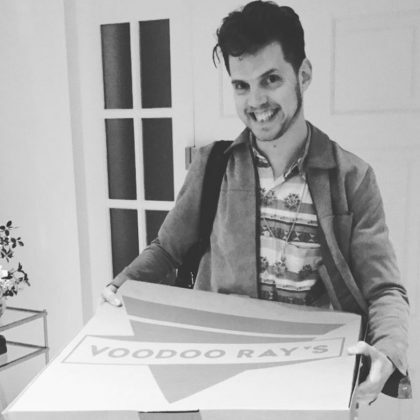 “God help me” is what Ellie Goulding said when a friend delivered a big Voodoo Ray’s pizza in February 2017. 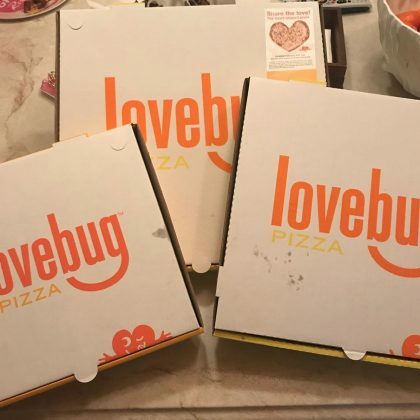 On Valentine’s Day in February 2017, Kate Bosworth had a pepperoni pizza during “date night” at The Luggage Room Pizzeria. 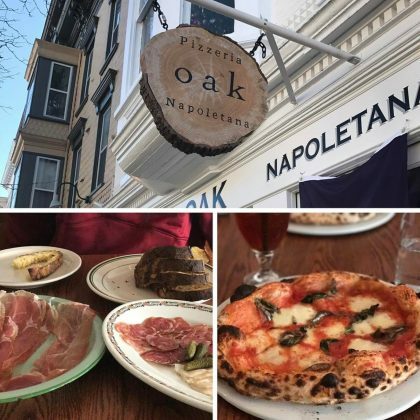 Al Roker “had a great lunch” — including margherita pizza ($15) and several salumi plates ($8-$10) — at Oak Pizzeria Napoletana in January 2017. 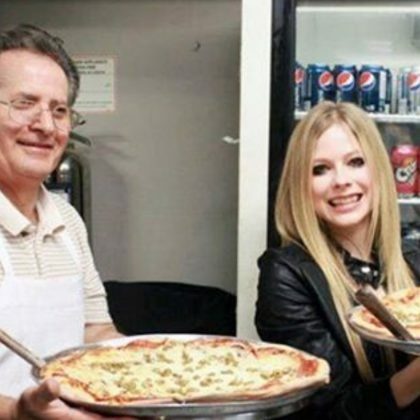 “Thanks for the signature (tribute?) 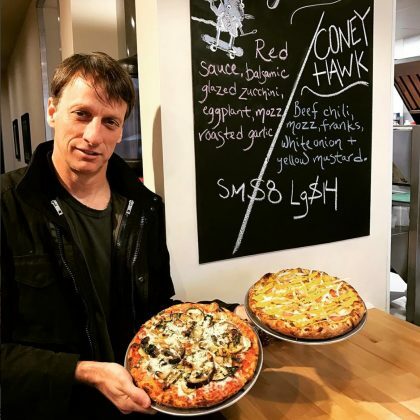 toppings” is what Tony Hawk said as he held two Pie-Sci pizzas in January 2017. 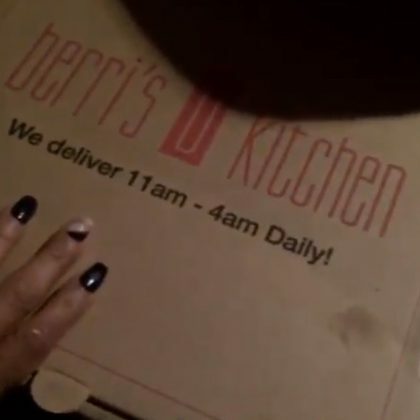 Christina Milian﻿ was feeling the “vibes” from Berri’s Kitchen, Hollywood’s “LOBSTER PIZZA” ($19) when she ordered it on Postdates in December 2016. 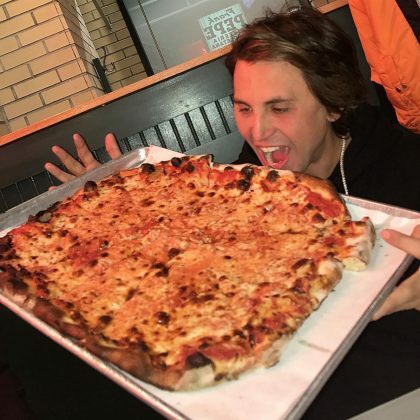 Jonathan Cheban﻿ said a cheese pizza from Frank Pepe Pizzeria Napoletana, Mohegan Sun made for a “breakfast of champions” in December 2016. 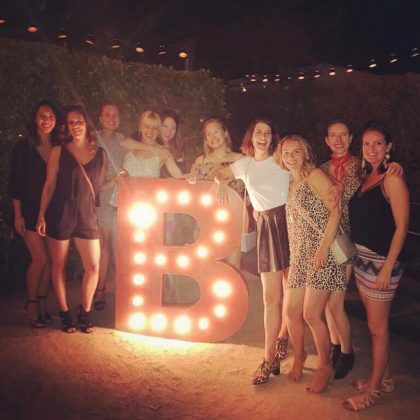 Ashley Benson﻿ “Had so much fun . 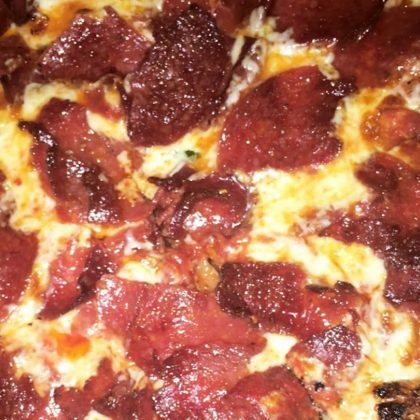 . . eating pizza” here in December 2016. 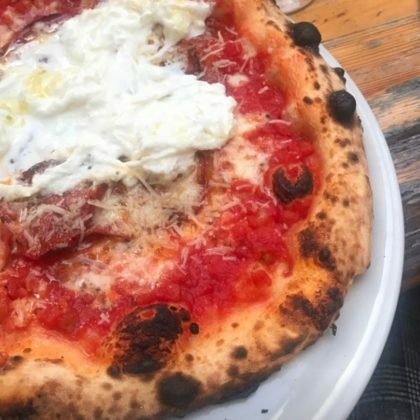 “Yes please” is what Jason Biggs said about the Pizzeria Bianco pizza he had in November 2016. 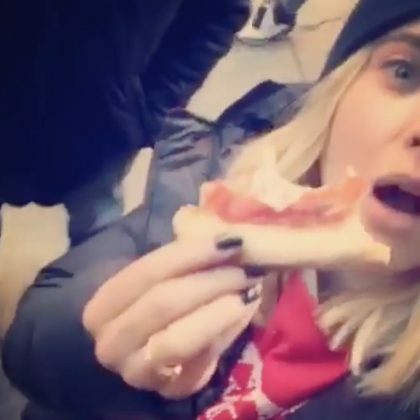 “I think it was a bad idea to allow me in the kitchen” is what Chloe Grace Moretz said about her October 2016 pizza-making visit here. 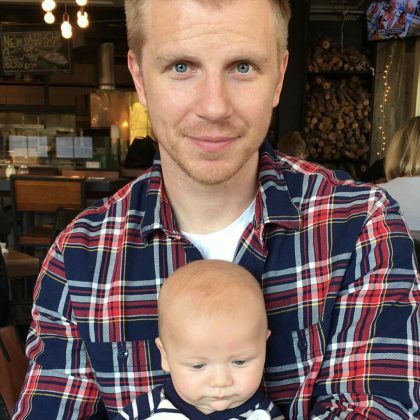 Catherine Giudici had two dates for her September 2016 meal at Elemental Pizza, U-Village — Sean Lowe and their son Samuel. 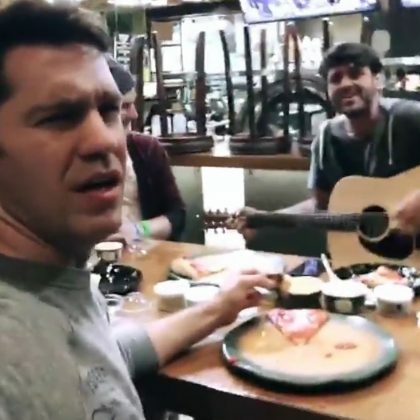 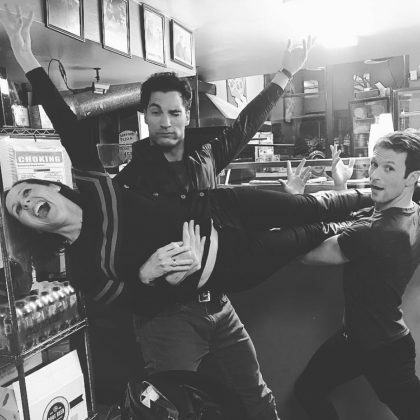 Andy Grammer engaged in a “Late night jam sesh” while eating pizza at SPIN! 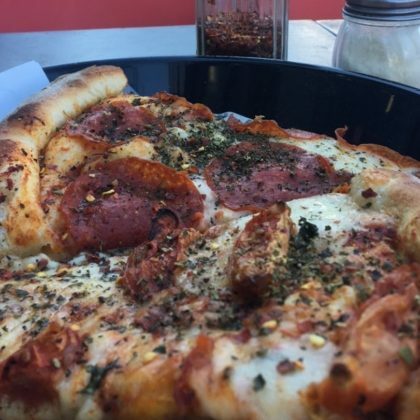 Neapolitan Pizza, Papillion in September 2016. 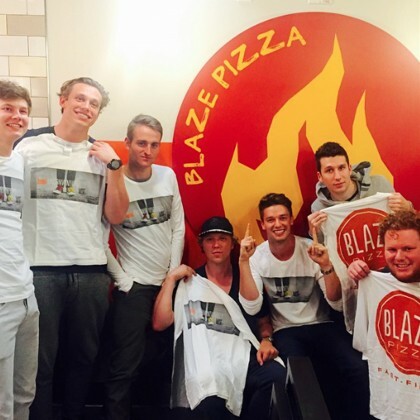 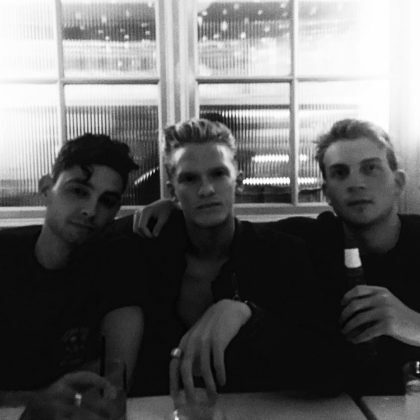 Cody Simpson came to Pizza Beach, Lower East Side with his boys in September 2016. 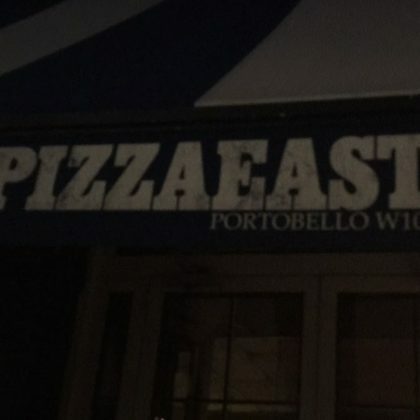 Stephanie Pratt﻿ stopped by Pizza East, Portobello on a September 2016 evening out. 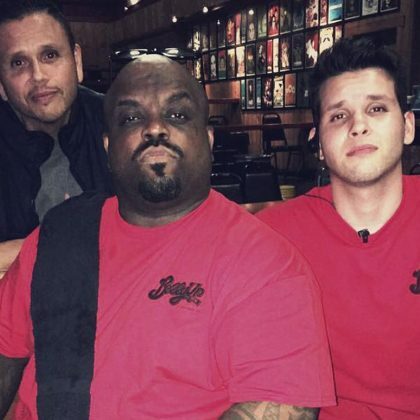 CeeLo Green﻿ was “Ready for Round 2” when he gave a shoutout to Pizza Port in his July 2016 post. 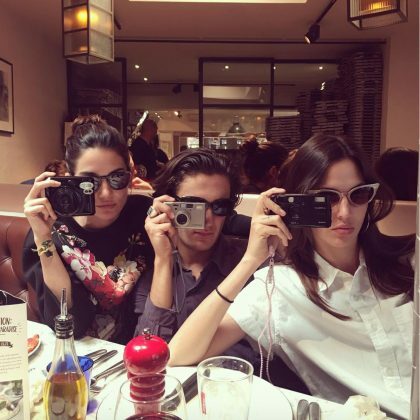 Lily Aldridge﻿, her friends, and family were all “Camera ready” while eating at Pizza Express, Notting Hill Gate in July 2016. 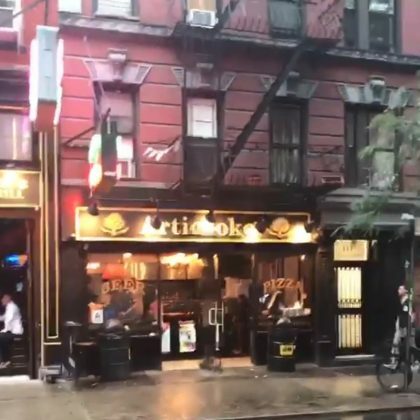 The Game﻿ sat on his car outside 161st Street Pizza in June 2016. 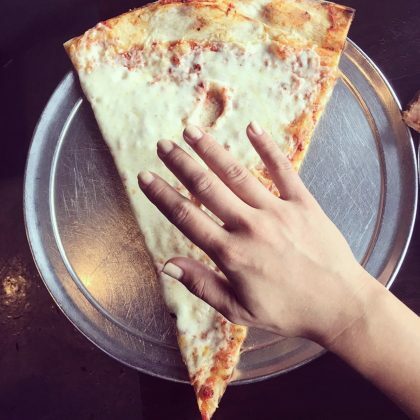 ﻿A pregnant ﻿Catherine Giudici﻿ showed off her swollen hands and joked that she “didn’t order sausage on my pizza” when she ate a slice of cheese pizza ($3.25) at Serious Pizza in May 2016. 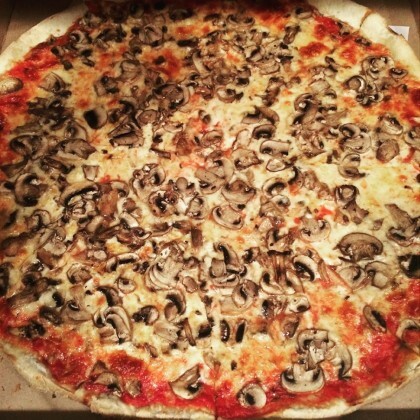 A mushroom-topped pie from Bleecker Street Pizza was Michelle Trachtenberg’s “#afternoondelight” in April 2016. 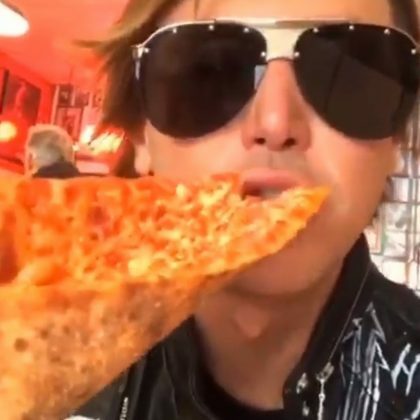 Jonathan Cheban﻿ placed a slice of Joannes’ Gourmet Pizza’s “Honey Dijon Chicken” pizza in his “Top 5” in March 2016. 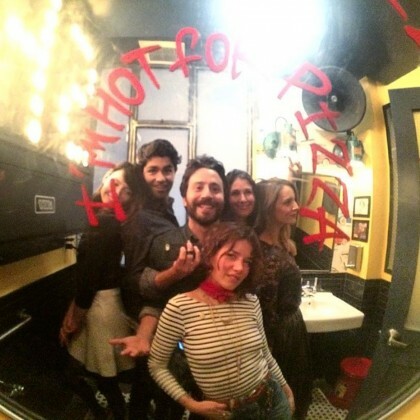 Adrian Grenier﻿ attended “Opening weekend” of Speedy Romeo Lower East Side in March 2016. 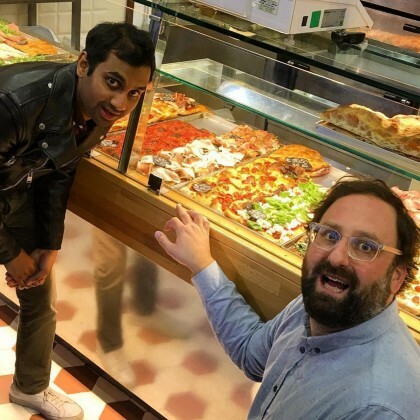 Aziz Ansari﻿ traveled to Italy in March 2016 and said, “Here we go! 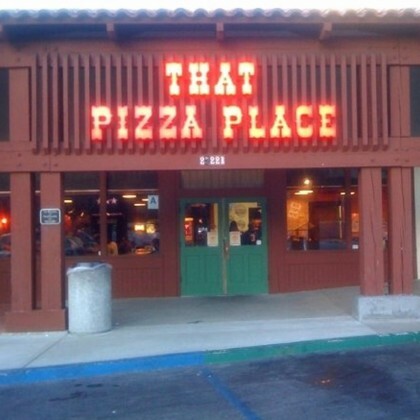 First stop…. 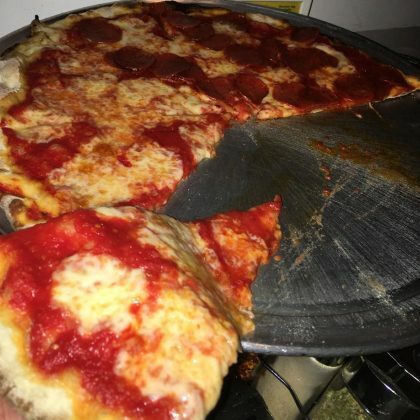 PIZZA” at Pizzarium. 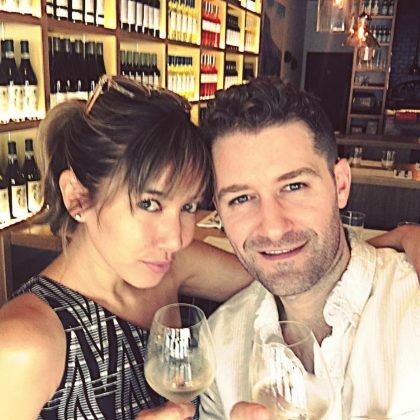 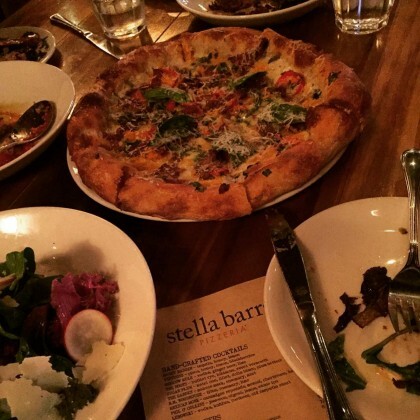 Giuliana Rancic enjoyed a “Pizza and wine double date” at Stella Barra Pizzeria in February 2016. 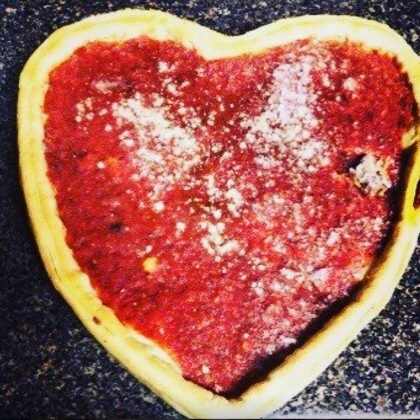 Because it was National Pizza Day in February 2015 and “Because I’m in Chicago,” Holly Robinson Peete enjoyed a heart-shaped pie at this Giordano’s. 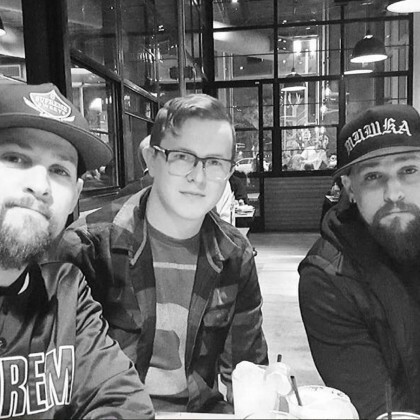 Joel Madden had some “Good hangs” with ﻿Benji Madden﻿ and Spencer Ussery at Pitfire Artisan Pizza in February 2016. 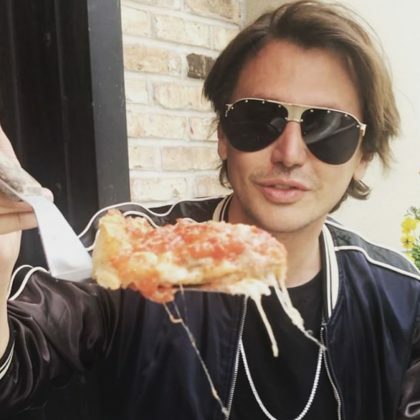 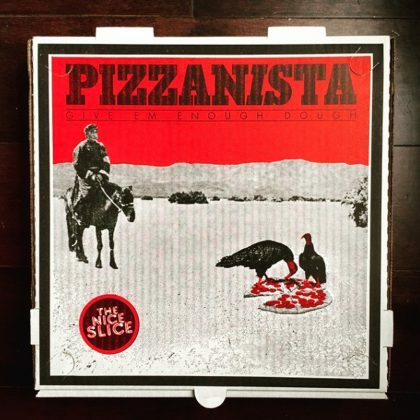 Jonathan Cheban ordered a thin crust half cheese, half pepperoni pie and called Baggio’s Pizza a “Game changer for eating pizza” in January 2016. 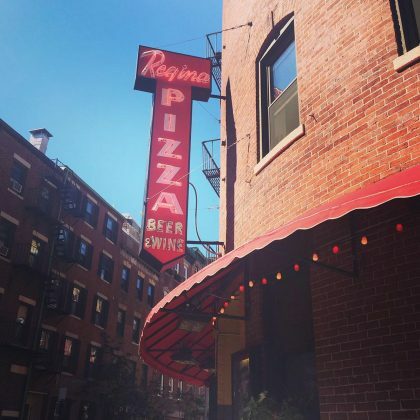 Mindy Kaling said in September 2015 that there is “Only one place to get lunch in Boston on premiere day” and that place was Regina Pizzeria, North End. 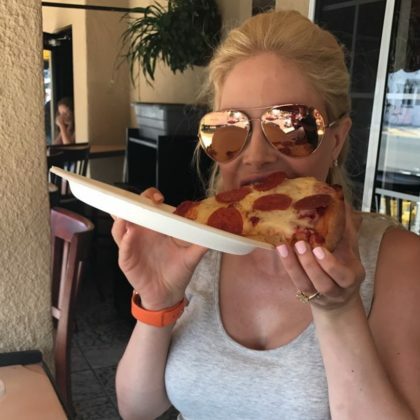 While filming season two of ﻿Donnie Loves Jenny﻿, ﻿New Kids on the Block﻿’s ﻿Donnie Wahlberg and ﻿Jenny McCarthy﻿ had a day date in NYC that included “New York style . 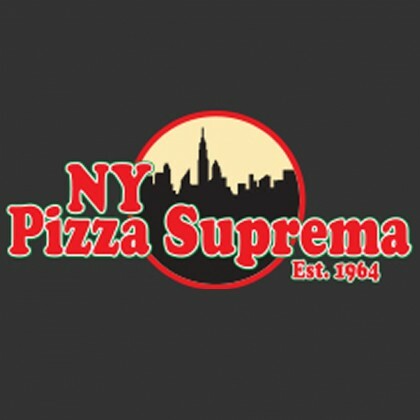 . . real pizza” at NY Pizza Suprema — Jenny had a meatball slice ($4.50). 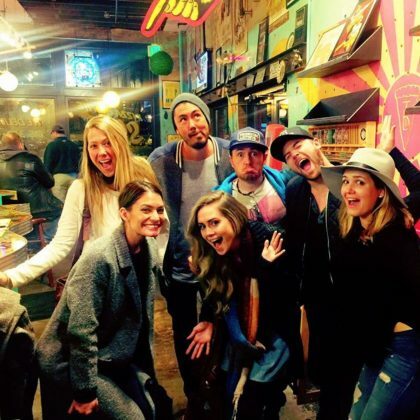 Lea Michele and Emma Roberts had a “Spontaneous pizza party” at Slice Pizzeria “after work” in August 2015. 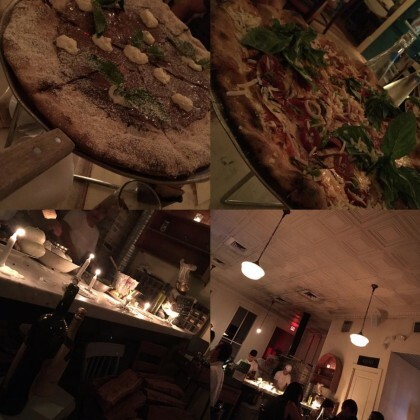 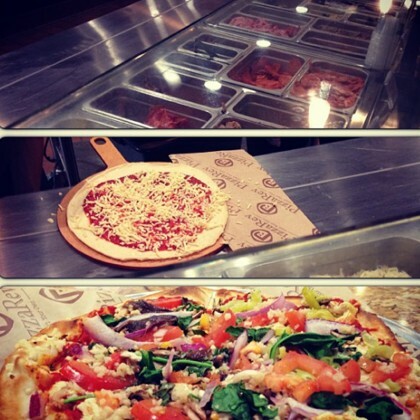 Lea said there was “SO MUCH PIZZA” — their table had cheese, pepperoni, and veggie options — and that it was “SO YUMMY! 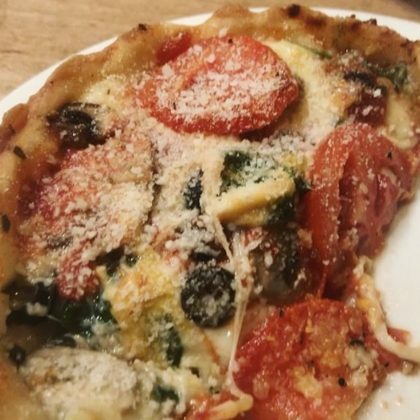 Pete Wentz posted a pic of his pizza in May 2015 and admitted, “Dang this little guy sat in traffic for two hours tonight,” but it still looked delicious! 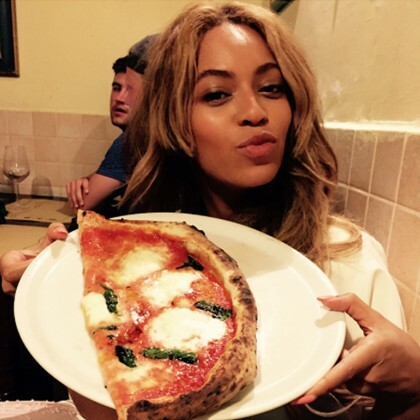 Beyoncé munched on half of a la vera pizza napolotena from Il Pizzaiuolo during her family vacation in May 2015. 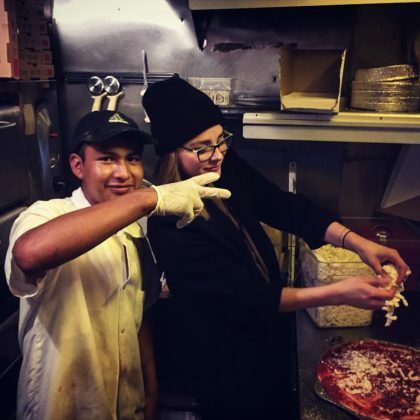 Bella Thorne checked in to Fratelli La Bufala in March 2015 and said “Life is coming up roses” as she posed by a floral stand nearby. 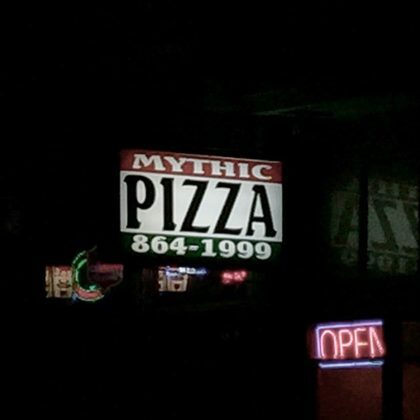 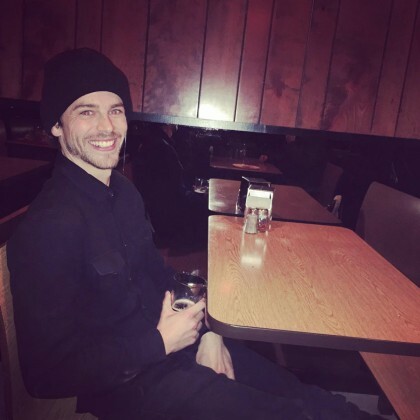 Ryan Phillippe posted about Mythic Pizza in February 2015, making a reference to Julia Roberts’ classic movie, Mystic Pizza. 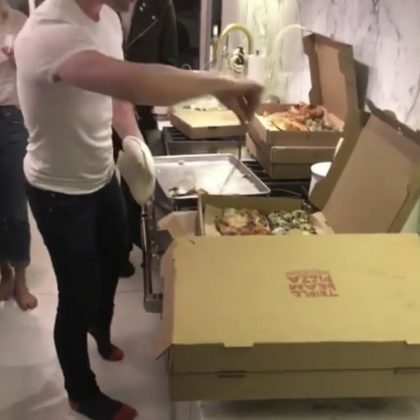 Miley Cyrus﻿ teased, “I’m only in disssss fooooo da fweeee” pizza when she supported then-boyfriend ﻿Patrick Schwarzenegger﻿ at Blaze Pizza, LA – USC in February 2015. 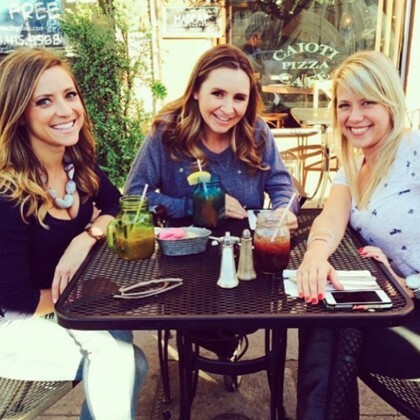 Catherine Giudici﻿ and her “Furreal (Faux Fur) Friends” met up at Hernando’s Pizza and Pasta Pub in December 2014. 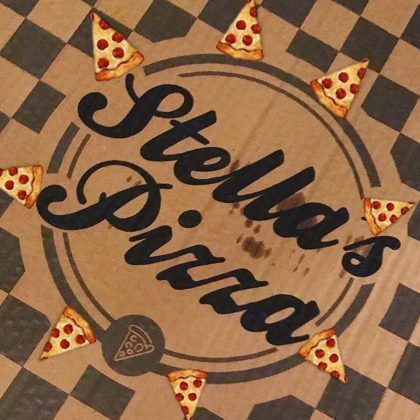 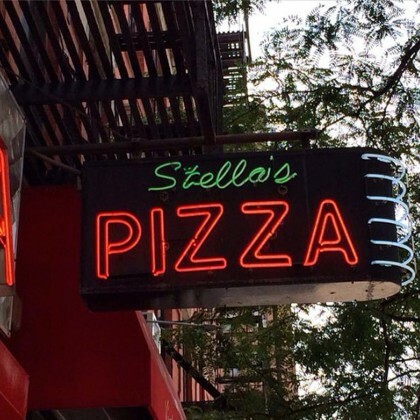 Stella McCartney said she was “Branching out!” when she went to her namesake pizza spot in November 2014. 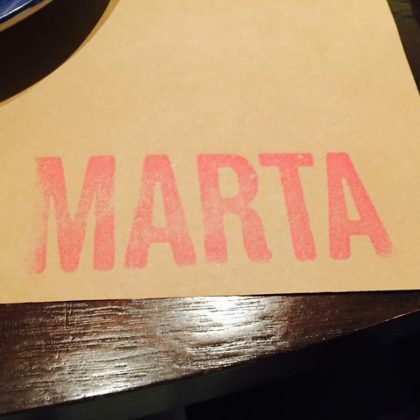 Martha Stewart﻿ called Marta “delish” when she was there in November 2014. 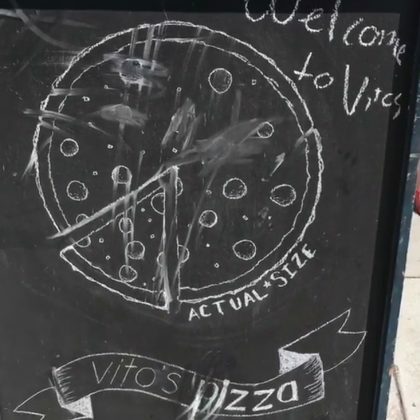 Antonio Sabato Jr. stumbled upon this spot while on location for work and smiled for a photo out front of his namesake pizza place. 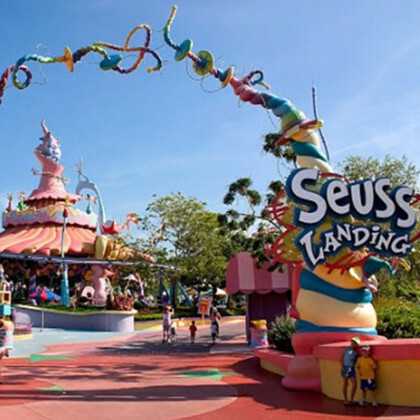 Holly Madison reported daughter Rainbow loved Seuss Landing when they visited in November 2014. 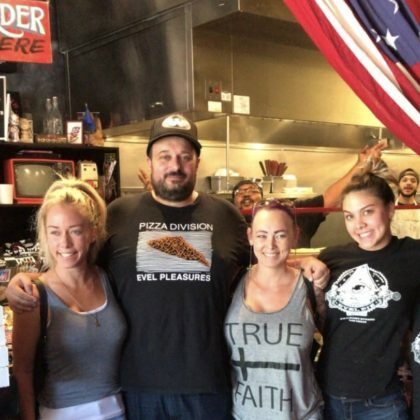 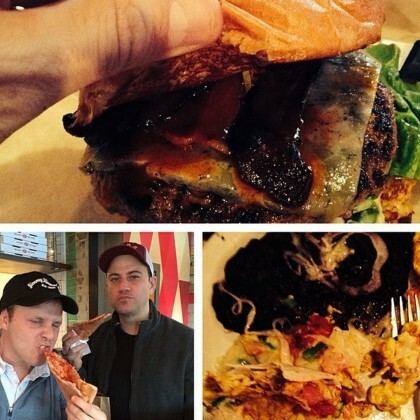 Jimmy Kimmel stopped by Home Slice Pizza for some food when he was in town for South by Southwest in 2013.